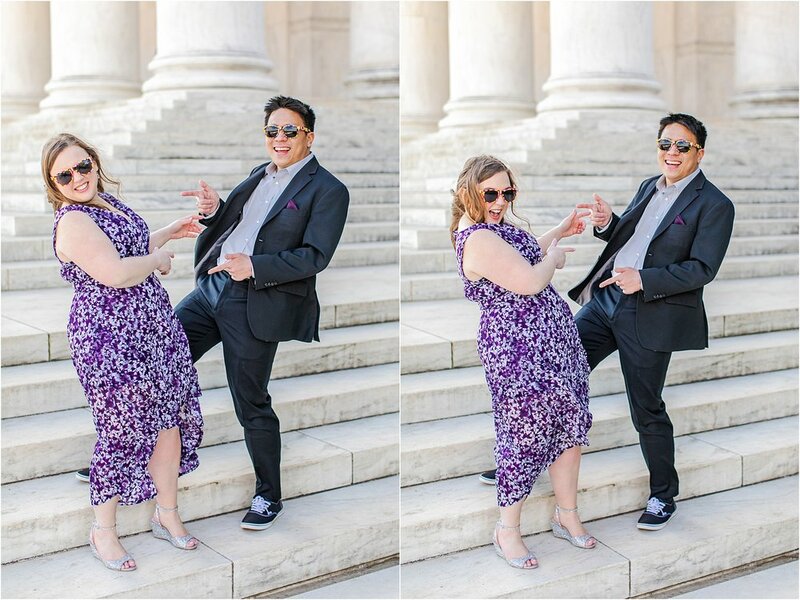 If I had to give awards to each and every engagement session, I would definitely give this two awards. One award would go to the weather for being one of the coldest engagement sessions we’ve ever done. 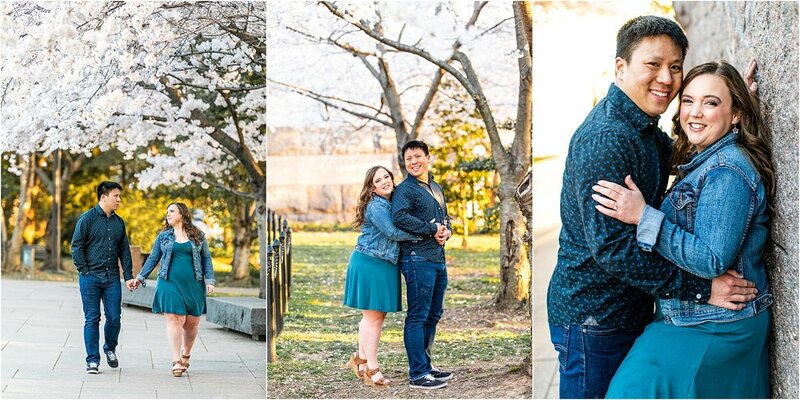 Even our Colorado engagement session we did a couple years ago was even colder than this shoot that we did at Peak Cherry Blossom. The other award would go to our couple, Melissa and Kevin, for being rockstars and braving the cold. She even wore sleeveless dresses. Our time with these guys was so great. Watching these two interact was awesome. Mainly because they are two peas in a pod, literally perfect for each other and oh so giggly. After we all practically got frostbite, we headed into the Wharf for some really awesome hot chocolate at Blue Bottle and amazing donuts at District Donuts! They even had my favorite desert in donut form: Creme Brûlée!! Melissa and Kevin, honestly, you did incredible. It was so cold and really not what we envisioned for a late March session. Oh, and not to mention the amount of people that were there photographing such glorious views of monuments and cherry blossoms. Thanks for trusting us and laughing all the way. 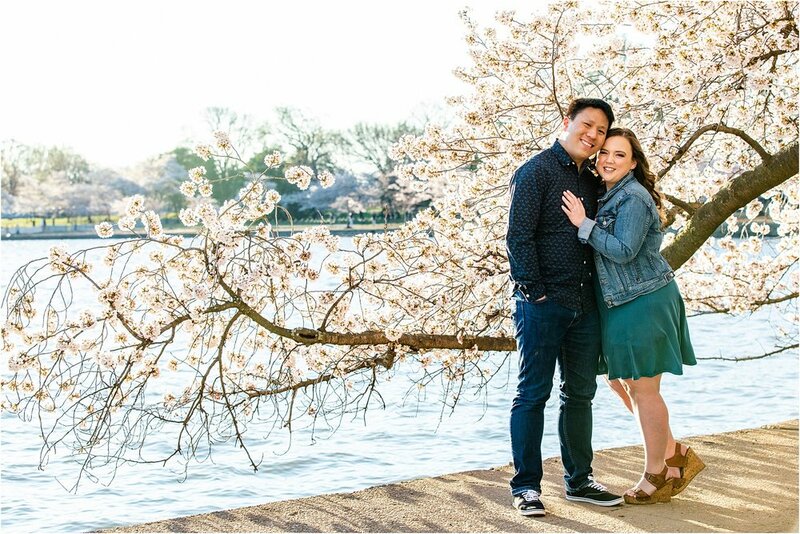 You were definitely the most joyful people at sunrise at the tidal basin!